Mysteries of History: The Popsicle ~ The History Girl! Summertime brings many things to the community, and one special thing that comes through without fail is the ice cream man. The whimsical music plays loud enough, that no matter where the kids are, their small ears will hear it and they will come running. The truck slowly rolls through the neighborhood, while harmonious music plays, signaling the area where it will stop and wait for everyone to show up waving their money. Snowcones, ice cream sandwiches, freeze pops, and the all time favorite, the Popsicle, are handed through the small window by the attendant. When all the people have their treats, the music becomes louder as the truck pulls away from the curb to deliver treats to another neighborhood. Frank Epperson, an eleven-year-old native of San Francisco, California, was making a popular drink of 1905. One winter evening he mixed a soft drink powder, soda water, and tap water together in a glass and stirred it with a wooden stick, and then placed it on the porch outside to get cold. He became busy doing other things around the house and forgot about his drink. The next morning, as he was leaving for school, Frank came across the drink he had forgotten the night before. He picked up the glass and examined the frozen concoction; thus, the birth of the Popsicle. This was not the original name for the famous frozen juice. For eighteen years the frozen concoction had no name and was not for sale. During those eighteen years, Frank, along with his family and friends enjoyed the accidental invention and in 1923 he filed for a patent with the United States Patent Office. The first name he chose for the invention was “Frozen ice on a stick”. Soon he decided the name was too long so he shortened it to the “Eppsicle” ice pop. Frank began to produce the frozen treats in different flavors and his own children referred to them as Popsicles. Liking the new name, he changed it with the patent office and the invention became a household name that everyone knows today. In 1924, Harry Burt, owner of the Good Humor Company of Youngstown, Ohio sued Epperson for patent issues. The two settled out of court in October of 1925. Frank agreed to pay Burt a licensing fee for the manufacturing of what Burt called “Frozen Suckers”. Later that year, Frank sold the Popsicle business to the Joe Lowe Company of New York. The simple treat, frozen around a Birchwood stick, became a huge success and sold for five cents each. 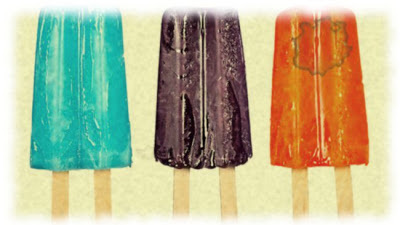 A short time later, the Lowe Company introduced the Popsicle with two sticks, so friends could share the same flavors. 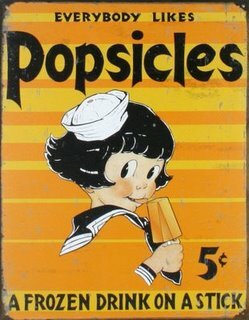 During the next 40 years the public experienced new flavors such as the Fudgsicle, the Creamsicle, and the Dreamsicle. In 1945 Nathan Cummings, founder of Consolidated Foods Company (now known as Sara Lee Corporation), was so successful that Time Magazine named him “Duke of Groceries”. 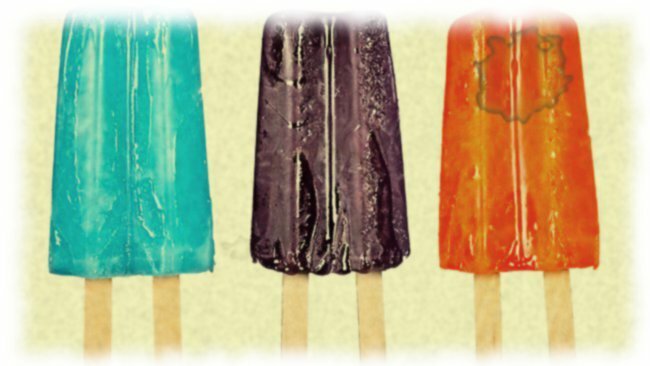 In 1965, Cummings bought the Popsicle product line from Lowe and started distributing the frozen treats across America. The marriage of twenty-one years did not last too long, because in 1986 Gold Bond Ice Cream Company of Green Bay, Wisconsin bought the product line. While the Popsicle brought sales up, alone it could not keep the company afloat for too long. Another food company once again acquired the product, but this time it was a blast from the past. In 1989, Unilever Good Humor Corporation of New York, bought the Popsicle line from Gold Bond foods, and added it to their long list of products, sold worldwide. In 1993, Unilever Good Humor purchased the Islay Klondike Company, which produced the Klondike Bar, and during that same year, they purchased the Breyer Ice Cream Company, changing the name to Good Humor-Breyer. Today the company employs over 3,000 people and operates in nine manufacturing facilities around the United States, making it the world leader in the ice cream market.